If you thought you were going to go one day without reading about Jay Z/Beyonce divorce rumors, jokes on you. You'll need to keep your eyes shut all day if you're interested in that. 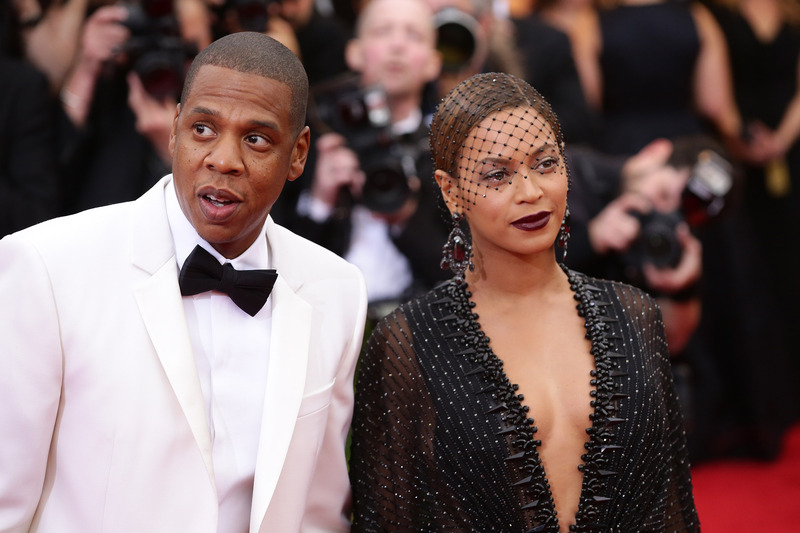 Shortly after either a private photo or a "private photo" nudge-nudge wink-wink was released of Jay Z and Beyonce at the opening of Jay Z's mom's restaurant in Newark leaked (or "leaked"), we're hearing that Bey and Jay are staying in separate hotels while on the road for their On the Run tour. Note, not separate hotel rooms, separate hotels. This, of course, is all hearsay and ought to be taken with a grain of salt, but yikes, if there's any truth to this at all, no bueno. How does the old saying go? The couple that stays in separate hotels, definitely doesn't stay together? Pretty sure it's something like that. The source who leaked this information to Page Six also maintains that, despite playing the loving couple on stage each night, Beyonce and Jay Z arrive to each show separately. In fact, from the sound of things in this particular article, which is weirdly detailed, but of course, told by "sources" and "insiders," Bey and Jay don't sound like they have a chance in hell, which is a major bummer for Planet Earth. However, one small detail in the exposé makes it a little difficult to believe these supposed sources. One insider said that, as far as they know, there's no prenup between the couple. Yeah. I know. Being that Jay Z is worth upward of $500 million and Beyonce upward of $300, I'm having a little trouble finding this source reputable. So, maybe there is a chance?